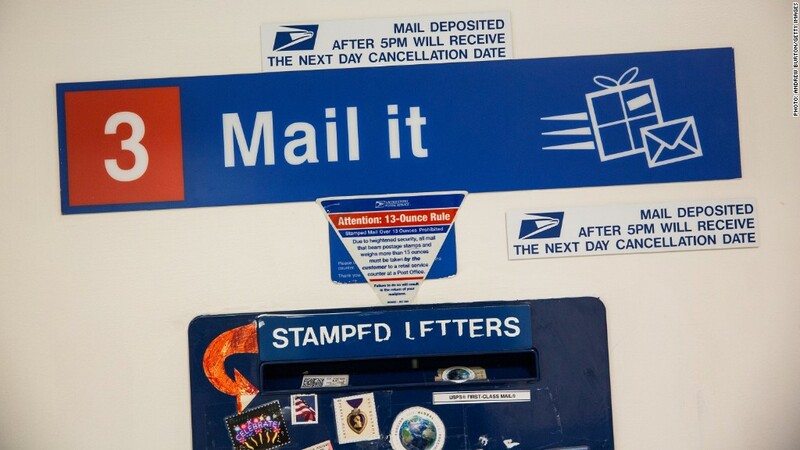 It will cost you 3 cents more to mail a letter starting Jan. 26. Stamp prices increased on Saturday, jumping to 49 cents from 46 cents. The 3-cent hike is the largest increase in consumer postage prices in more than a decade for the U.S. Postal Service. The price hike affects millions, even though fewer Americans these days use snail mail to pay bills and keep in touch. One way around the increases is buying Forever Stamps now and using them any time for first-class mail, the kind used by most consumers. Launched in 2007, Forever Stamps are always valid, no matter what people paid for them and even if prices go up in the future. They are also very popular: In 2012, 21.8 billion Forever Stamps were sold, making up 84% of stamp sales. That same year, the U.S. Postal Service delivered 68.7 billion pieces of first-class mail. Still, declining mail volume continues to plague the agency. Some 2 billion fewer pieces of mail were sent in 2013 compared with 2012. But more people are using the post office to mail packages. In 2013, package volume rose 8%. A year ago, the price of a first-class mail stamp went up by 1 cent in January. The cost of mailing a post card also went up. It now costs 34 cents, a 1-cent increase. The price hike comes after the agency's regulator gave the green light back in December to keep up with inflation and recoup losses incurred during the Great Recession, when people drastically pulled back on mail. The Postal Regulatory Commission also said the Postal Service can't allow the hike to last more than two years, or raise more than $2.8 billion. Does that mean prices will go back down in January 2016? Doubtful. The price hike includes a one-cent increase to keep pace with inflation, which won't change. Also, the postal agency plans to appeal the decision limiting the price hike to two years and will argue for the increase to be permanent, said agency spokeswoman Katina Fields. The postal service is also planning to ask permission for another round of 1-cent price hikes to keep up with inflation in 2015 and 2016. The current rate hike brings a much-needed cash influx to the financially struggling postal service. The agency said in November that it lost $5 billion in the latest fiscal year ending Sept. 30. That's far less than recent years, but that's on top of years of losses. The agency has exhausted a $15 billion loan from taxpayers to make up for shortfalls. Much of its cash problems stem from a congressional mandate to make annual $5 billion payments for future retiree health care benefits.